I made this blog for fun purposes and now I have the privilige of writing about how I got nominated not once but twice by two really amazing blogs. The first nomination came from the amazing StillJamieBlog and the second from the wonderful PsLoveTashh. Thank you guys so much for the recognition, its truly appreciated! Sooo what do you win?? 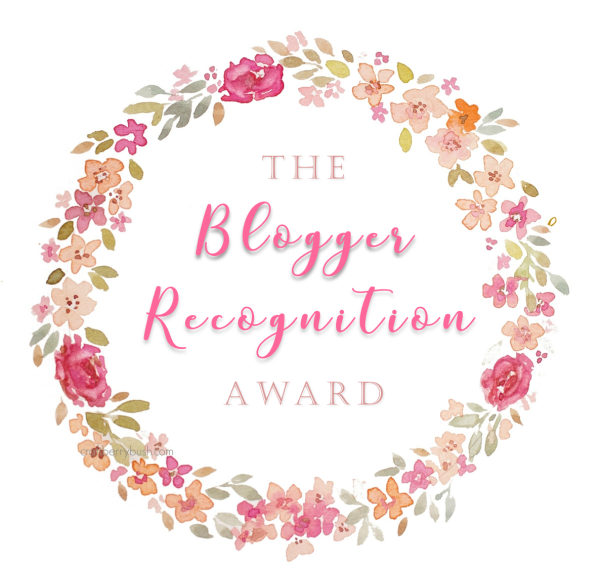 This award is given by bloggers to bloggers to show that we see you guys working super hard trying to make it in this blogger world we all want to be in. When both of the bloggers above contacted me they had nothing but positive and wonderful things to say about mine. It’s so nice to have people see that and now I get to give that feeling to another blogger??? That’s a WINright there! So before I say who my nominees are here a quick background story of my little blog. Yup, that’s me! My name is Sayward Porcher and I started my baby blog in August 2017. I really didnt (and still dont at times) know what I was doing but I know I wanted to inform/help people and have fun while doing it. It is a lot of work, which I anticiated but I enjoy every minute of it. It’s kind of like my creative outlet in a way and at the same time I’m networking and meeting these amazing bloggers! I have had people read my blog and the best compliment is the one where they can hear me saying what they’re reading. Bloggers who I have never met before a so amazed at how my voice comes through in my writing. I take so muhc pride in that and so I hope you guys can achieve the same! Say things how you would speak them, don’t sensor yourself, its the internet, you can be anything you want just make sure you do it whole heartedly. Network, Network, Network, Network, Network people! I know for a fact when I go out my blog will be the topic of conversation at some point and not because I’m cocky and snobby about it, more because I’m so proud of it! I love telling people about it and seeing their faces light up with the response “wow! You’re a blogger? ?” Yes, why yes I am. Also by doing this I am getting a new reader and maybe someone who will tell his/her friends about me and my blog. To me it’s a fun game to play in my head, maybe thats a little creepy but hey, its works for me! Yay! Now it’s your turn! Thank the blogger who nominated you (meeee) and provide the link to their blog. Write a blog post to show your reward. A brief story on how your blog got started. Select 15 other bloggers you want to nominate. Let them know they were nominated and share your post! I hope you guys check out eachother’s blogs and keep the recognition going!